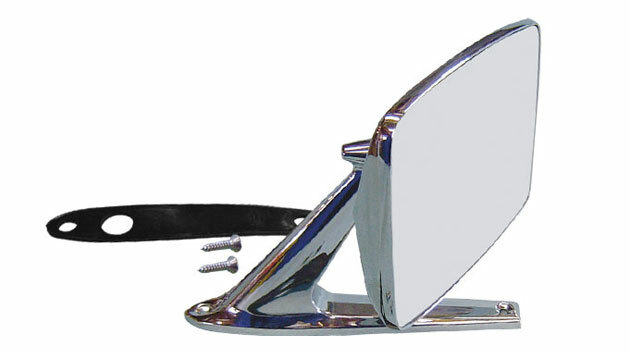 Tom's Bronco Parts Exclusive SHOW QUALITY Side View Mirror for 1968-77 Classic Ford Broncos. Will also fit 66-67 Broncos but is not Factory Correct. This is a well made reproduction of the original Side Mirror for the Early Broncos. Each mirror can be mounted on either Driver Side or Passenger Side. Also fits 66-79 Ford Trucks. Fits 1968 to 1979 Ford Bronco. Driver or Passenger side (sold individually). Made to directly replicate the factory original side mirrors.